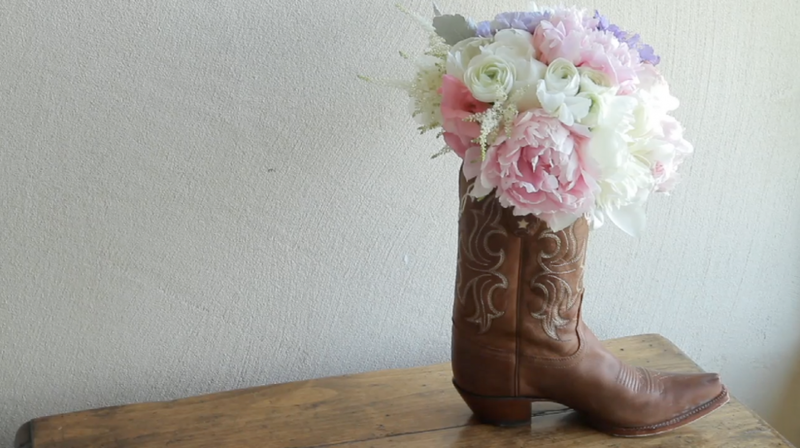 The bridal bouquet rests in the bride's cowboy boot shortly before the ceremony. We loved the peonies used in this floral design. Please enjoy this preview for Allison & Ryan's divine destination wedding at the rustic Rough Creek Lodge in Glenrose, TX. Allison and Ryan are smart, talented, gorgeous--and they have seriously cool taste in music. Before their wedding, Allison had let us know how much Ryan loves classic rock n roll. Most people think of Texas as a country western kind of place, but after you visit here, you know differently--Texans love all kinds of music, because mostly, Texans just love to have a good time! We were as excited about hearing the entertainment band as we were about the wilderness setting that Rough Creek Lodge provides. When you pull into the lodge, the thing that strikes you is the wildness of the grassy fields. Allison and Ryan chose to have a spring wedding, which, in our opinion, if we have had a good solid rain in late winter, Texas Spring weddings cannot be beaten. The wildflowers were out in epic proportions that day (and we do not use the word epic lightly). We were thankful for color on our normally tan landscape. Allison & Ryan had their Chuppah (huppa, chuppa, you might spell it differently) set up in a homespun wooden chapel that sits on the land at the lodge, with wooden pews, hardwood floors, and floor to ceiling cathedral style windows. 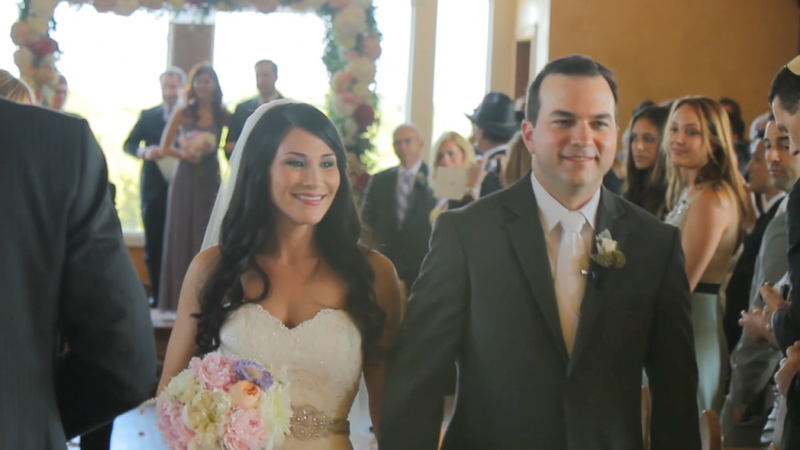 Their rose-covered chuppah was the most ornate thing in the room, and it was beautiful. In Jewish tradition, the chuppah represents the home that the couple will build together. It is open on all four sides in remembrance of the hospitality of Abraham. Before they were married, Allison and Ryan had visited Rough Creek Lodge and found it to be a place that truly energized them--it is peaceful, with open horizons, and enjoyable activities. Allison told us that they had invited all of their Floridian family and friends to Texas because they wanted to share the special experience of Rough Creek Lodge with them. In that way, even their wedding location is a reflection of the hospitality that the chuppah represents.